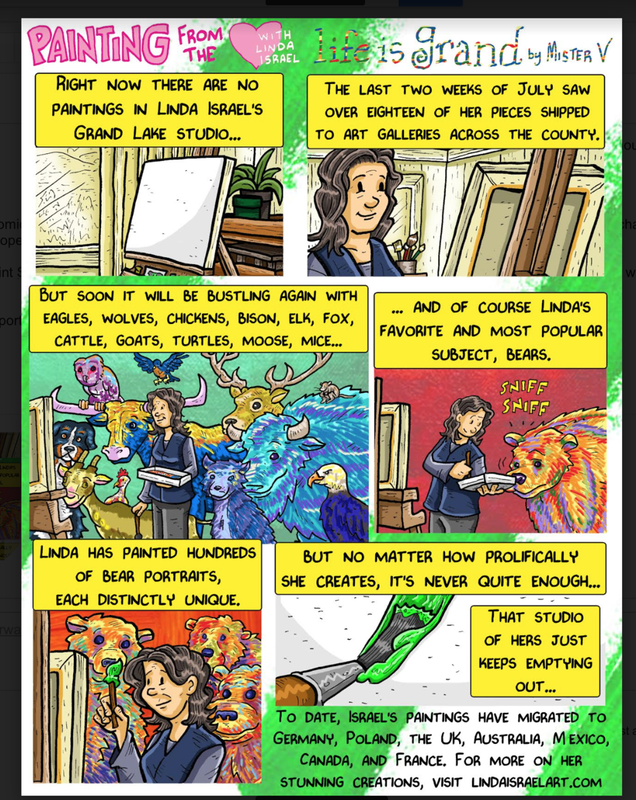 Local artist and cartoonist spent a morning with Linda observing just how she goes about her paintings for his monthly comic depicting local figures and stories. Linda's painting, "Alpaca Baby" was chosen to grace the front cover of the Yampa Valley Arts & Culture Guide for the Winter 2018 edition. 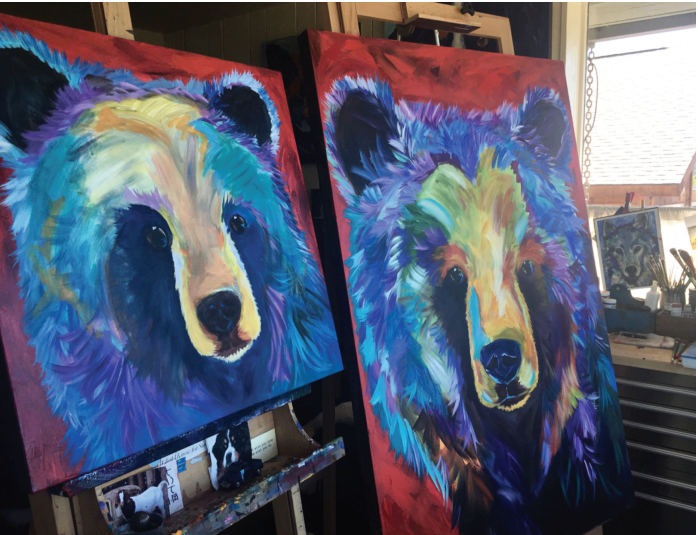 Writer, Cindy Kletz visits Linda at her studio to interview here for an article titled "Painting a Story Through the Eyes" published in the summer 2012 issue of Grand County Home and Lifestyle.